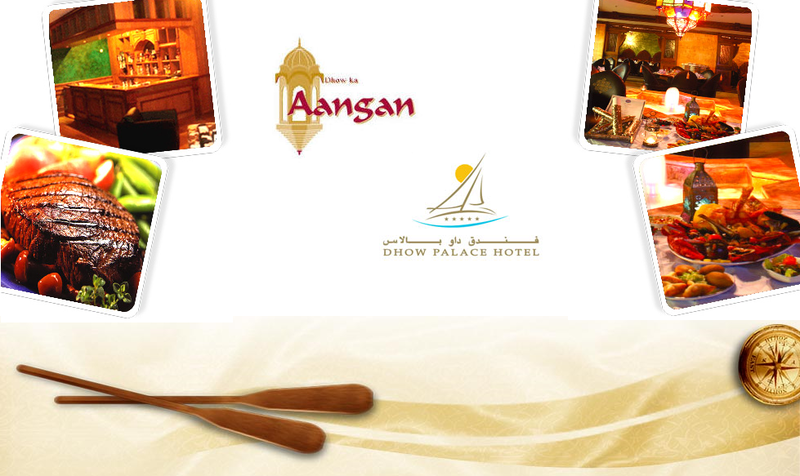 Over a period of time, Dhow Ka Aangan at Dhow Palace Hotel in Bur Dubai region has swiftly become one of the most failsafe venues in Dubai to savour authentic and tasty Indian food. Simply because the chefs of this restaurant are well familiar with the art of blending the freshly ground herbs and spices to prepare traditional Indian dishes. These spices and herbs are the real vim of Indian cuisine, as it helps retain this cooking its individualism. However, using spices does not mean that food of Dhow Ka Aangan is chili hot in fact this bistro uses them to raise the aroma and flavours of the food. It is because of this reason Dhow Ka Aangan has been able to produce special dishes like their zafrani murgh malai tikka and maintain a decent base of clientele. Dhow Ka Aangan is an ideal venue to enjoy spicy Indian food in a lively environment. The menu of this eating place is quite extensive, as guests can choose from poultry to meat options, seafood to vegetarian favourites, tandoori items to desserts and lot more. Wide assortment of alcoholic drinks and other beverages is also readily available at this eating spot, which will definitely help boost the flavour of food. Corporate sector people can relish business lunch at this amazing bistro. In case, they want to have consume the Eastern delicacies in a concealed setting they can opt for the private dining area of this eatery. As far as the entertainment is concerned guests can enjoy live music played at this restaurant, which keeps the atmosphere quite vivacious. This is one of the eateries in Dubai that opens on all days of the week, but its opening hours vary a bit, as from Saturday to Thursday lunch is served between 12:30pm and 3:30 pm, whereas the dinner orders are taken between 7:00 pm and 1:00 am. However, on Friday this bistro serves dinner only from 7:00 pm to 1:00 am. Dhow Palace Hotel, P O Box - Dubai - United Arab Emirates. 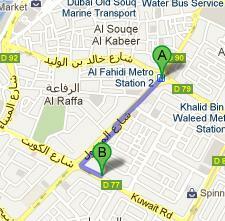 Al Fahidi Metro Station 1 is 1.2 kilometers walk from the Dhow Ka Aangan Restaurant in Dhow Palace Hotel of Bur Dubai. Patrons can cover this distance in about 15 minutes. To do so they should head southwest on Al Mankhool Road/D 90 towards 7th Street, after exiting the building of this metro station and then turn left onto 11 A Street. Afterwards they should turn right in order to locate the destination on the left side. Kuwait Road 1 bus stop is 97 meters away from the Dhow Ka Aangan, which makes it a 1 minute walking journey. Bus user need to head northwest on Kuwait Road from this bus station and then make a sharp right turn, from where destination is just few meters away on the left side. Directions on map.